Sanding systems shall guarantee the required adhesion for traction as well as for emergency braking, even in adverse weather conditions. Corresponding to the state of the art, natural sand is discharged towards the contact point between wheel and rail. Typically, natural sand is discharged with dispensing volumes between 500g and 1500g per minute. The increased friction in the contact point between wheel and rail due to the use of natural sand is dearly bought by extraordinary financial costs and by damages to health as a result of fine dusts. 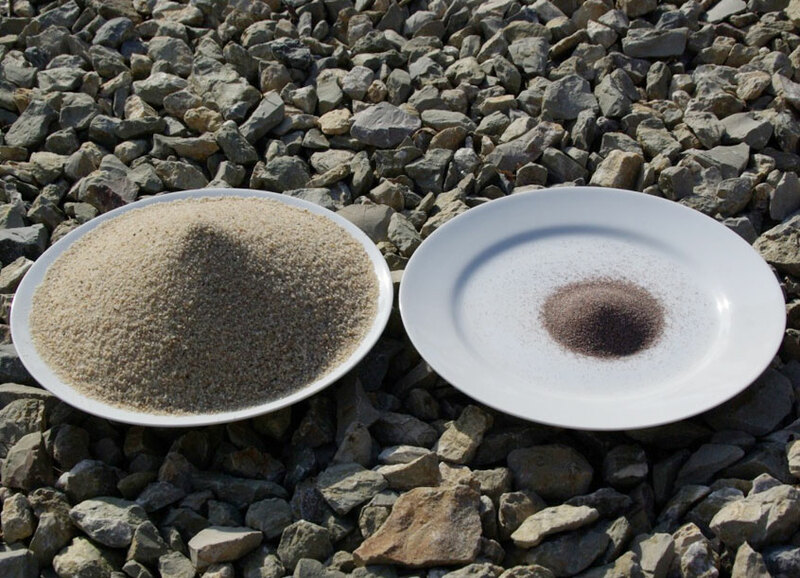 Both disadvantages of natural sand can be drastically reduced or even completely eliminated when using an alternative grit. 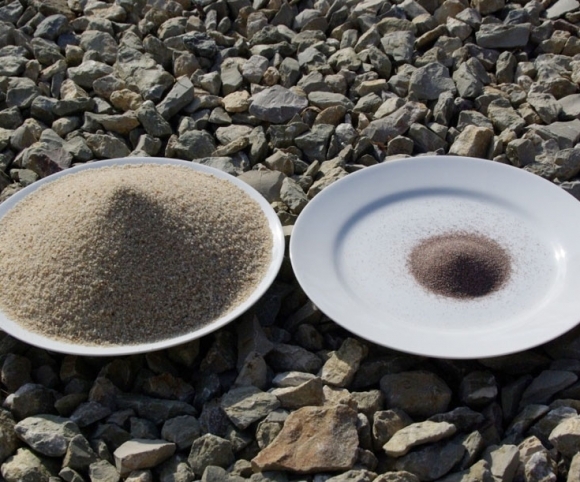 Aluminium oxide („MBM RailGrip“) as grit has a significantly harder grain than natural sand. The grain is not pulverised in the contact point between wheel and rail in contrast to the natural sand grain. After having been rolled over by the wheel, the grain still is available in a compact form with sharp edges and can further be used for traction increase Thus, no fine alveolar dust occurs which can be harmful to health. MBM Sanding Systems can reliably deliver both natural sand and „MBM RailGrip“ with the same hardware.